Investor ready! Turnkey cash-flow opportunity! Fully rented at current market rates 3 full bedrooms, 2 baths, 1 car garage on each side. 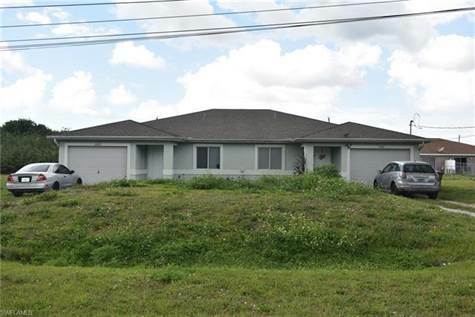 Spacious floor plan, vaulted ceiling, tile throughout, lanai in the back, well kept property. Easy access to I-75. Tenants in place. Leases available upon request. Please do not disturb the tenants!